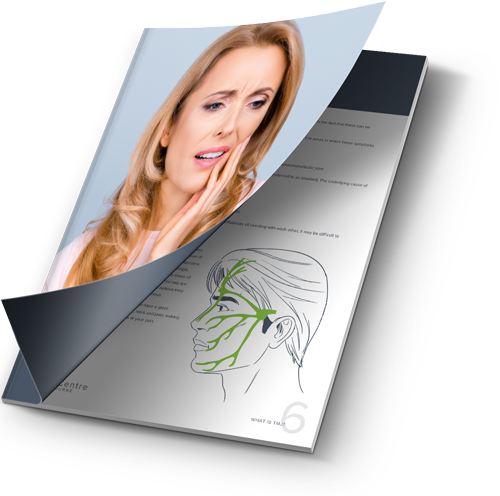 Could TMJ/TMD be causing your headaches? IS TMJ/TMD THE CAUSE OF YOUR PERSISTENT HEADACHES? Are headache and temporomandibular disorders related? A blinded study.Cephalalgia. 2008 Aug;28(8):832-41. Gonçalves M, Florencio LL, Chaves T, et al. Do women with migraine have higher prevalence of temporomandibular disorders? Braz J Phys Ther. 2013;17:64-68. Headaches are very common when you suffer from TMJ/TMD. Our unique team of experienced Dentist and Chiropractor at TMJ Centre Melbourne provide treatment for headaches caused by TMJ/TMD. Muscle fatigue due to clenching / grinding in patients that have TMJ make them much more susceptible to tension headaches and migraines. Postural changes due to TMJ inflammation, which fatigues the neck and shoulder muscles and causes referred pain to the head and face. Many studies have shown considerable improvement or complete elimination of headaches at the back of the head (occipital) and temple headaches when TMJ/TMD is properly treated. Leaders in the field of TMD recognise that up to 85% of head pain is due to muscular issues. Furthermore, research has shown TMJ/ TMD may be responsible for up to 26% of all head pain. Headache treatments need to address the underlying cause; in many cases, this means treating TMJ/TMD. Can addressing a misaligned jaw assist in headache treatment? When a misaligned jaw is present, it causes a forward head posture. This places a lot of strain on the neck and shoulders, and causes your shoulders and hips to be tilted. For every inch of Forward Head Posture, it can increase the weight of the head on the neck by an additional 5 kilograms. This additional weight will mean the neck muscles become severely overworked and therefore be the source of neck pain, pain at the back of the head and referred pain to the front of the head and eyes. Conversely, an issue in your feet, hips or back can also place excessive strain on your neck, jaw and head, leading to headaches. A holistic approach to headache treatment is crucial in finding out the real cause of your headaches. Sometimes there may be multiple causes that need treating simultaneously. For this reason, our team have been able to help many patients at TMJ Centre Melbourne with our unique combined service of TMJ Dentist, Dr Shah and TMJ (Holistic) Chiropractor, Dr Dowker. If you suffer from TMJ/TMD, Dr Shah is able to treat you with a combination of orthotics (bite plates), trigger point therapy and laser therapy, while Dr Dowker gently adjusts the rest of the body, including the cranium. There is absolutely no cracking, rapid rotations or high velocity thrusts. If you suffer from chronic headaches and feel like you have tried everything without success, it is most likely because the real reason has not been diagnosed yet. Receiving the correct diagnosis is extremely important when treating the symptoms of headaches and migraines. Without a correct diagnosis, you could be wasting precious time and money on treatment that is ineffective. Dr Shah and Dr Dowker work together to provide patients with an accurate diagnosis of their condition and coordinate their treatment to ensure that each and every patients achieves the desired result. If you have been searching for a clinic that offers a holistic approach to TMJ headache treatment in Melbourne, book your comprehensive consultation! Could Your Migraine Be Caused by Undiagnosed TMJ? Many migraine sufferers are not aware that their migraines may be caused or made worse by TMD (temporomandibular joint disorder). Such intense head pain is not often thought to be caused by an issue in the jaw or the teeth. Often your GP may not even consider that TMJ/TMD is the cause of your chronic migraines as they have usually not completed any formal training in neuromuscular dentistry. The latest research shows that Migraines occur due to activation of the trigeminovascular system (TGVS), which consists of the trigeminal nerve (the trigeminal nerve supplies sensation to the head, face, lips, jaws and sinuses) and nerve fibres which innervate blood vessels inside and outside the brain. Head pain occurs when these blood vessels dilate following release of neurochemicals due to activation of the TGVS. These neurochemicals also cause inflammation. Activation of the TGVS can occur due to stimulation of the nerve endings of the trigeminal nerve. The trigeminal nerve endings are located in the cranium, face, teeth, jaws, jaw joints and face/jaw muscles. Therefore, painful stimulation from any of these areas can cause activation of the TGVS and ultimately migraines. The trigeminal nerve provides 50% of the input into the brain, indicating its importance to the brain and your well-being. The jaw joints in particular are densely innervated and therefore potentially something as simple as slipped disc in the joint could be the cause of over activation of the TGVS. It is now understood that the nerves that supply sensation to the neck, back and internal organs also join the trigeminal nerve before being processed in the brain. Put simply: dysfunction in the neck, face, cranium, jaws, muscles and other areas of the body such as the lower back or irritable bowels, activates the constant low grade, chronic nervous system. This has the potential to make an individual susceptible to migraines due to direct and indirect activation of the trigeminal nerve. Being able to treat the dysfunction in the entire body with help of Dr Shah, TMJ Dentist and Dr Dowker, Holistic chiropractor we have helped many patients with debilitating migraines. Please come in for our comprehensive consultation and see how our experienced team can help treat your migraine.